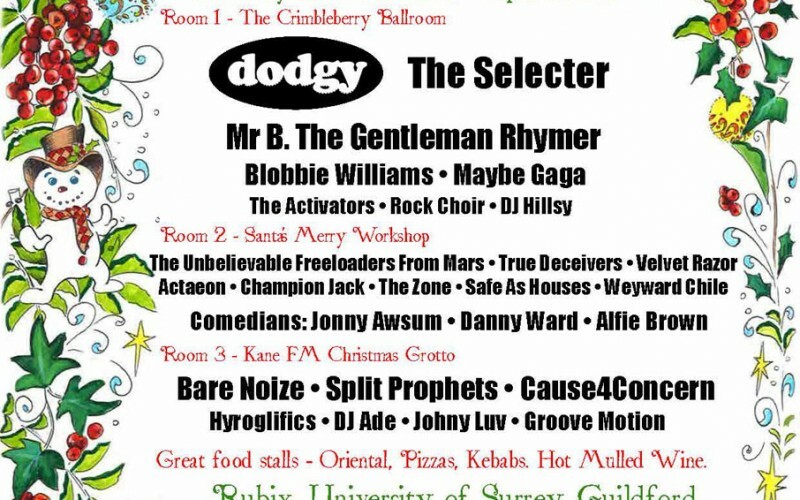 Roy “The Boy” Allaway will be talking to the main acts from this weekends big Christmas event in Guildford – The Crimbleberry Ball. Roy’s Music and Chat show tonight between 8-10pm will feature music & chat from Dodgy, The Selecter, Mr B The Gentleman Rhymer, Blobby Williams (Take Fat) and Maybe Gaga. Radio Woking’s Roy Allaway will be comparing The Crimbleberry Ball this Saturday 21st December from 7pm at Rubix in The Surrey University, Guildford.